Wal-Mart will let consumers trade in old video games for gift cards to use in its stores, on walmart.com and at Sam's Club stores. Wal-Mart will soon let consumers trade in their old video games for gift cards that they can then use to shop for items in its stores or on walmart.com. The world's largest retailer said its new video game trade-in service kicks off on March 26 and will roll out in more than 3,100 Wal-Mart (WMT)discount stores nationwide. The retailer said the service will accept unlimited number of games for popular consoles, including Sony (SNE) Playstation, Nintendo (NTDOF)'s Wii and Microsoft's XBOX as long as they aren't damaged and are in their original packaging. 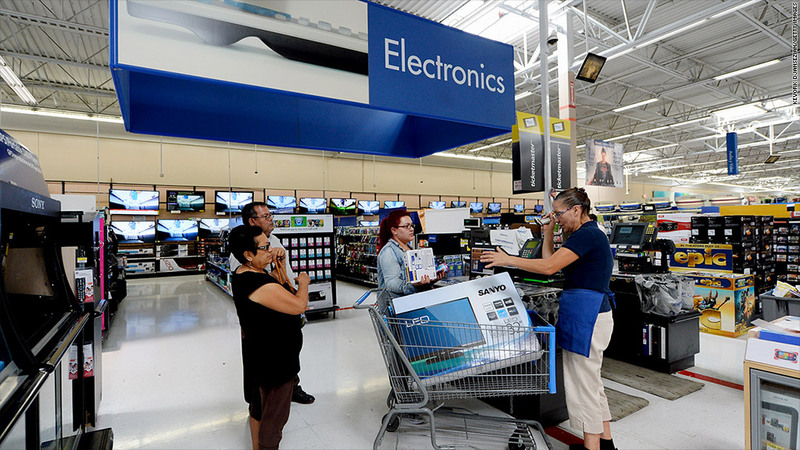 After they bring in the games, consumers will get an eGift card which they can use to shop for groceries at Wal-Mart, jewelry on walmart.com or even for gas at Sam's Club locations. The trade-in value of the games will vary from a few dollars to about $35, depending on their age. Some games considered to be too old will not be accepted. The service is available only to customers 18 and older. Wal-Mart said it will refurbish the video games, label them as "Certified Pre-owned," and sell them later this year in stores and on its website. Wal-Mart wants to tap into the $2 billion pre-owned video game market, said Duncan Mac Naughton, Wal-Mart's chief merchandising and marketing officer. The retailer estimates that there are nearly 1 billion unused video games sitting in homes across the United States. "We're not part of it at all. We expect to grow the market even more now because of our entry into it," he said. The latest trade in program follows Wal-Mart's other recent similar initiatives. Last fall it launched smartphone and ipad trade in programs. "This is a new category for us. We're doing it because our customers have asked us for it," said Mac Naughton.